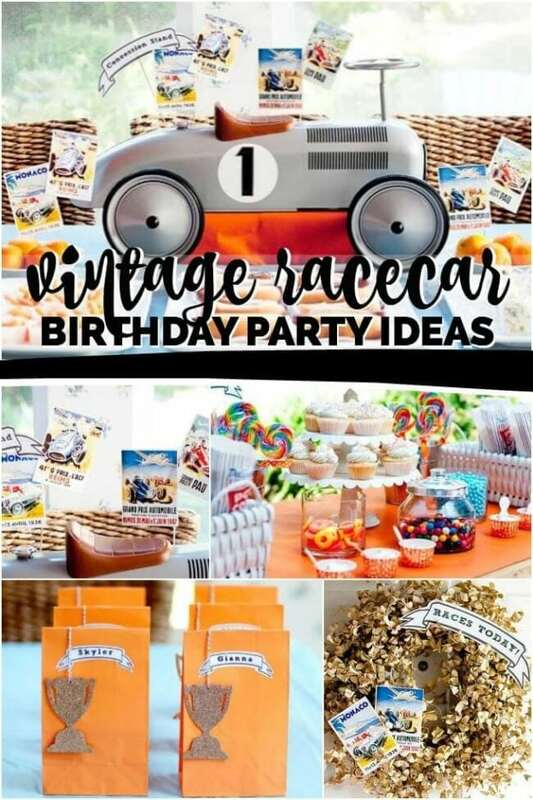 Buckle up, because this vintage race car first birthday party by Christina, of Ruby Red Studios, might rev up your excitement for car themed parties. Full of fun, old-school decoration details like vintage racing posters, gold trophies, and retro-inspired treats, what’s not to love? 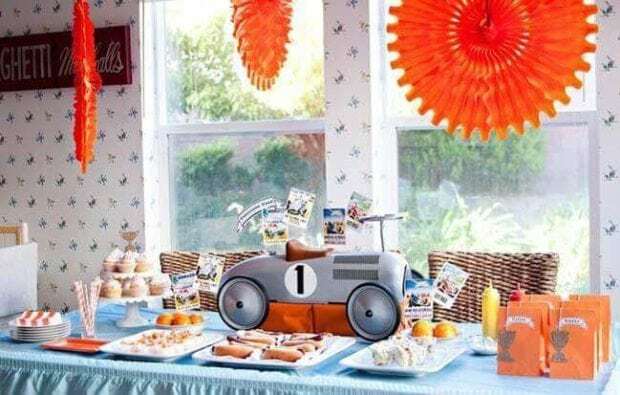 The orange, silver and baby blue color palette may just leave you racing to imitate such a fun first birthday concept! 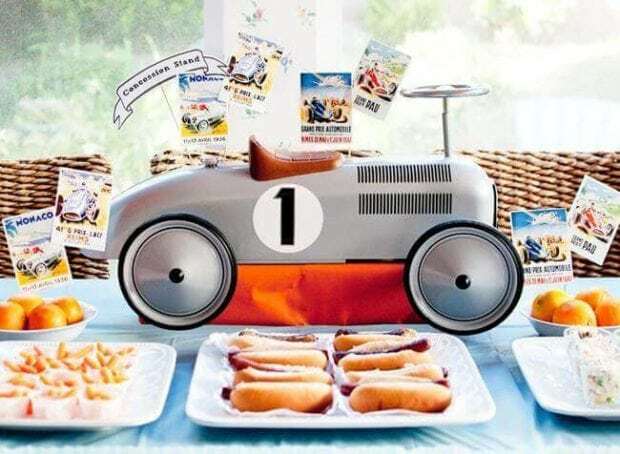 Check out the cool details in this modern boy’s race car birthday party. 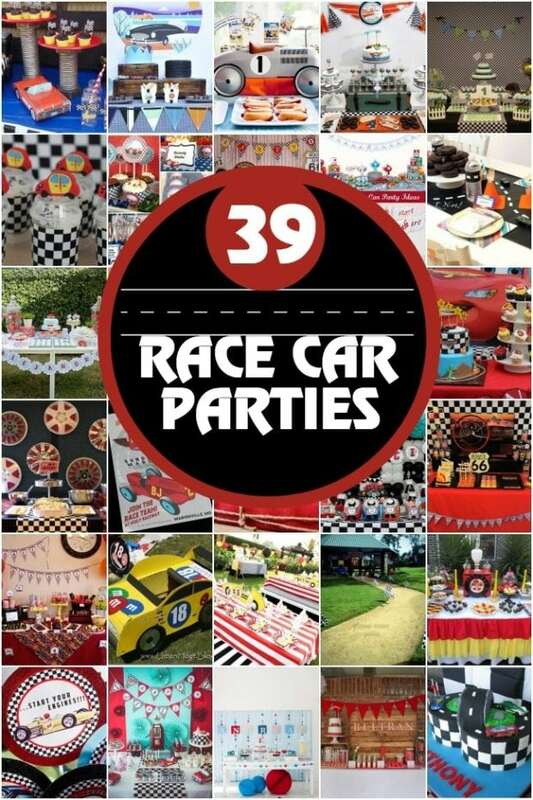 Car enthusiasts of all ages will love the details of this vintage race car birthday party. 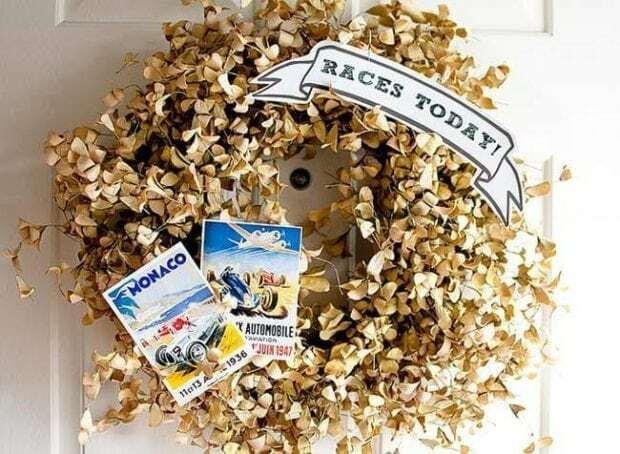 Racers were greeted with a festive front door wreath that let them know there would be “races today”. The mini vintage racing posters are a colorful addition to set the tone for an exciting party. Christina styled an awesome concession stand to keep guests fueled. Additional vintage-style racing posters and a jaunty model car create an eye-catching display of props and decorations. Overhead, bright orange paper fans add to the festivities and up the energy appropriate for a race car theme celebration. 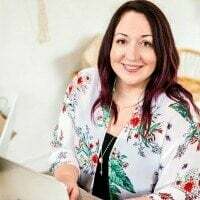 From traditional concession stand fare of hot dogs and vintage bags of popcorn to child-friendly items like oranges and cups of crackers, there was plenty of yummy food. 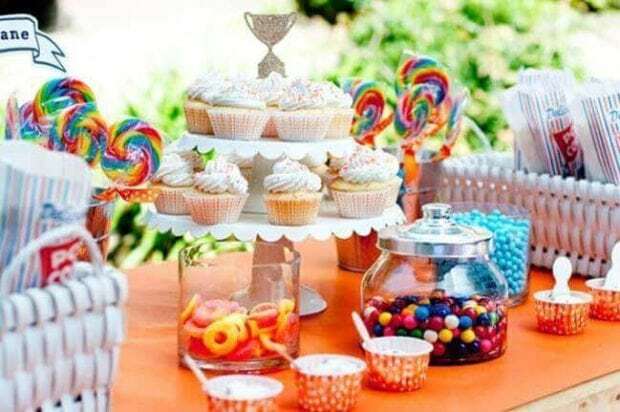 Retro treats (rainbow whirly lollipops, gummy rings, and colorful gumballs) add a sense of nostalgia and sure rev up the fun meter for attendees. The grand prize of the dessert offerings was the two-tiered stand of cupcakes, topped with a gold, glittered trophy. 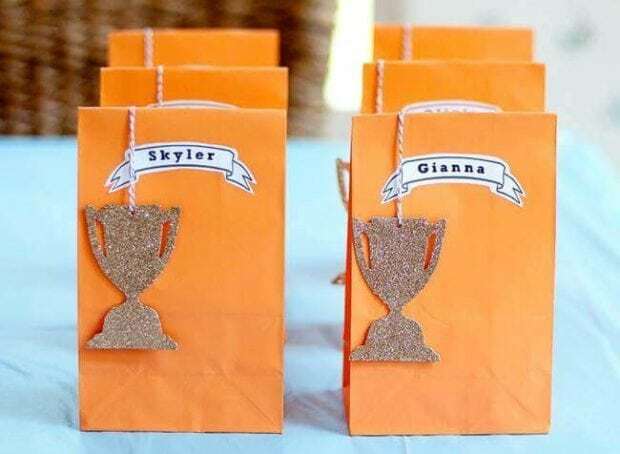 Colorful orange favor bags with gold trophy tags would grab little racers’ attention, but the furled name banners really make it fancy. 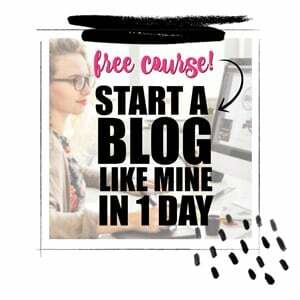 Christina passed the party-planning finish line with flying colors!